When it comes to either professional or amateur wild game hunting, the 3-9×40 scopes have grown to be a staple for a lot of hunters around the world. Their power magnification fits the sport perfectly, and the variations in zoom is ideal for accurately taking down large game like deers and wild moose. The best 3-9×40 scopes are capable of giving the avid hunter exactly what he/she is looking for. These high-performance scopes have a very rugged construction and can withstand calibres from the standard .243 to the more high recoil .340. However, from all the varieties that are available in the market, it can indeed be very complicated to pick the one that fits your needs the best. That is precisely why we have compiled a guide today to help you on with your search. And we are confident that one among them can be your choice of scope for the day. 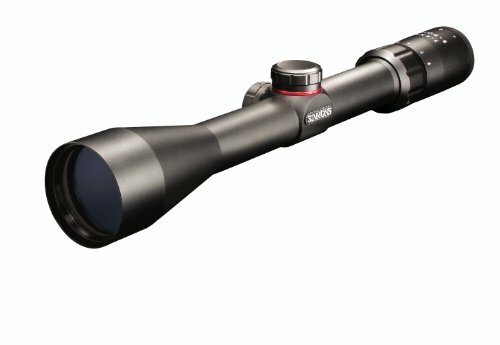 What to Look out for Before Buying the Best 3-9 X 40 Scopes? Buying the right 3-9×40 rifle scope that best suits your needs can indeed be a difficult task to accomplish without the proper know-how. So, to help you out on your search, we will be going over some key factors in our buyers guide that you must definitely look out for. Before you invest time thinking about the more complex hardware features, you must first take into consideration the basic build of a scope, and if it will suit your hunting environment, to begin with. Even though the majority of the 3-9×40 optics are nowadays designed to be fog and waterproof, not all of them will be able to withstand conditions like excessive heat and moisture. But, if your hunting climate is predominantly standard, then there is no need to invest a lot in the construction. However, if the environment is usually harsh, then it’s better to make sure that the scope body is as durable as it can get. Additionally, if you have a high recoil rifle like the .340 Weatherby Magnum Bolt action, or even something like the .308 Winchester, then shock resistance is of paramount importance. A lot of the user comfort and convenience has to do with the focusing mechanism. 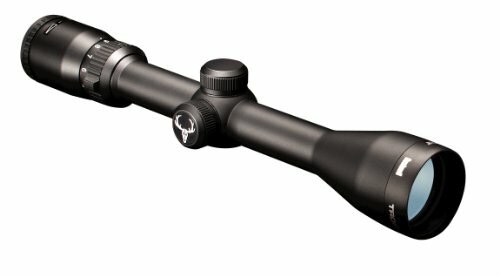 So, going for a scope whose focusing mechanism doesn’t fit your shooting style and needs will not offer you with the enjoyable hunting experience that you’re looking for. And when it comes to focusing mechanisms, there are primarily two types, the collar style, and the knob style. The collar style will allow you to employ a focusing collar, while the knob style, on the other hand, will provide a small knob right above the eyepiece. Hence, the style you go for will heavily rely on your preferences, so, it’s necessary to study up on these two types to know which one will fit your style better. The mechanism will also depend on what you choose to hunt. 3-9×40 scopes are basically used to hunt larger prey like deer, bears and boars, so depending on the game the preferred mechanism might differ. When purchasing one of the best 3-9×40 scopes, there are primarily four components that you should always take into consideration before making the purchase: zoom, resolution, parallax, and reticle. The standard parallax for any 3-9×40 scope is around 50 yards, which is something you should ideally look for. And for zoom and resolution, two options exist in optical and digital. Whereas an optical zoom will help you magnify an image without affecting the resolution too much. The Digital zoom, on the other hand, improves the image while compromising on the resolution. Hence, it’s wise to go for a scope that houses both zoom qualities along with a high-quality reticle for precision and accuracy. In the realm of pro game hunting, you might not find a single day go by where Nikon and their range of 3-9x40mm scopes are not mentioned. They are indeed that popular, and their Buckmaster series is one that is sought after the most. This line of high-quality riflescopes is built to endure the most extreme of hunting and shooting conditions. And the Buckmaster II Matte Riflescope, in particular, is equipped with features that integrate the scope to be fog-, water- and even shockproof. Why consider the Buckmaster II as your scope of choice? Apart from the fantastic durable design, the most attractive feature of the Buckmaster II is perhaps Nikon’s very own ‘brighter anti-reflective system’ that it comes with. This technology is what allows the scope to be versatile enough to meet every shooting needs. With up to 92% of anti-reflective capabilities, the scope allows a very high level of light transmission, which a lot of its competitors fail to provide. So, if you’re are deciding to hunt some game at dawn or even dusk, your shooting accuracy will not diminish no matter what the surrounding light condition is. Additionally, the consistent eye relief is quite generous in our opinion. It will help keep your brows safe (even if you’re wearing spectacles) at all times. This will come really handy if you’re using lightweight rifles which are equipped with heavy recoiling cartridges for severe shooting angles. Nikon provides a limited lifetime warranty with this model as well, and it’s bound to provide you with the peace of mind in all your hunting tasks. However, one gripe that we do have with the scope is with the mounting space. It may feel limited for some bolt action snipers, thereby not allowing the scope to be the ideal choice for all types of guns. A fantastic durable build and design. The anti-reflective technology makes it ideal for low light conditions. BDC reticle has a trajectory-compensating system for quick and easy aiming. Comes with Nikon’s limited lifetime warranty. .May not fit all sniper rifles. The mounting space may feel inadequate for a lot of bolt action snipers. Bushnell scopes are one of the more user-friendly models in the market. And the Trophy Riflescope is all about adding an element of fun and enjoyment to any game hunting expedition, making it just perfect for professional and casual hunters alike. What makes the Bushnell Trophy Riflescope so very amazing? Ease of use is one of the highlighting factors of this Bushnell scope. The windage and elevation adjustment is quite convenient and can be effortlessly customized with the help of the ¼ MOA. This scope will easily allow focus and magnification adjustments while on the go, and even while aiming down the sights. It’s very amateur friendly and comes with lens coated with multiple layers to offer as much light transmission as possible, while at the same time ensuring minimal reflection on the surface. Getting good focus and acquiring your target will not be an issue under any lighting conditions. The twelve-inch one-piece tube is conveniently designed to support a saddle and just weighs fourteen ounces, so for long hunting trips and expeditions, this scope will not weigh you down. For durability, apart from making the scope environment proof, Bushnell also provides the model with a cover, that protects it from rough use and helps it to hold zero. However, we found the eye relief to be quite inadequate. It doesn’t provide exactly what is advertised, and we will not be recommending this scope for those who rely heavily on spectacles. One of the more user-friendly scopes on our list today. The ¼ MOA allows easy customization of the elevation and windage while on the go. A multi-coated lens with anti-glare for providing the best in light transmission. A lightweight tube that comes with its very own saddle. The eye relief is pretty small and can be inconvenient for a lot of users. When it comes to going on long hunting trips under extremely rough conditions, it’s important that the scope you’re carrying is not only lightweight but extremely durable as well. And not many scopes in the market are specifically designed for long hunting trips. With just a little bit of physical damage, either their reticle breaks or they are easily knocked out of zero. But, take the Vortex Crossfire II, for example, the scope is virtually indestructible, and is, by all means, the most durable scope on our list today. What about the Vortex Crossfire II impressed us? As we have mentioned above, when it comes to durability and providing the best shooting performance in long hunting trips, not many scopes can beat the Crossfire II. And it’s all thanks to the sturdy one-piece design that the scope comes with. It’s made explicitly out of aircraft-grade aluminum alloy which makes it both lightweight and has extremely high resistance towards the highest of magnum recoils. It can take .340 caliber cartridge shocks almost effortlessly, even when in constant use under rough conditions. 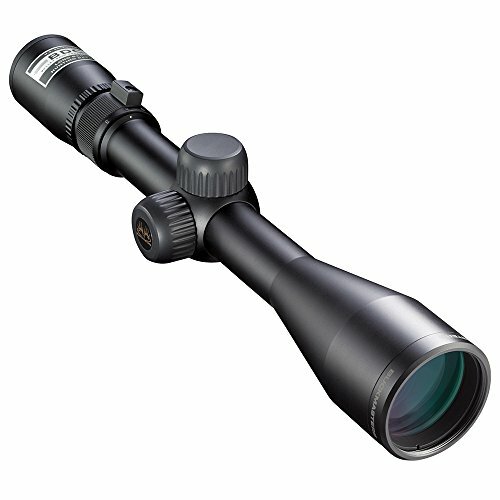 Moreover, if you generally tend to shoot at various ranges where holdover is a concern, then this scope is a must have. Vortex provides this model with a DEAD-HOLD BDC reticle, which has a customized dot design. This allows the scope to minimize any sort of windage or holdover corrections to achieve an accurate shot, irrespective of the elevation. The Precision-Glide Erector System is another fantastic feature that the scope provides. As Vortex doesn’t compromise with the quality of their zoom lens, a lot of premium components go into making them. The build along with the Erector system allows the scope to provide smoother magnification under the harshest of conditions. However, the scope can disappoint when it comes to parallax errors; there is indeed a fair amount of it, and is much more noticeable when shooting offhanded. Plus, slight distortions in the image can also be noted at 6x magnification and above. DEAD-HOLD BDC reticle minimizes any sort of windage and hold over corrections. Aircraft grade build makes the scope extremely durable. Precision-Glide Erector system provides smooth magnification adjustments. Perfect for rough and extensive hunting trips. The image tends to distort after 6x magnification. The Simmons Truplex Riflescope is the more budget-friendly option and will fit those perfectly who want a high-quality 3-9×40 scope but at a very affordable price. But, even though cheaper than the others on the list, Simmons doesn’t compromise on the Truplex’s build in any way. These scopes are built with accuracy and precision in mind, and when it comes to the competitive hunting scene, this model has grown to be extremely popular. Their design is extremely attractive as well, and comes with a variety of high-quality features. Can the Simmons Truplex be your pick for the day? The Simmons Truplex is all about providing the hunter with the best in precision and accuracy under any form of environmental conditions. One of its best features in our opinion is the TrueZero elevation and the windage adjustment system. As these components use the ‘¼-MOA Suregrip audible-click system’ for the customizing, it makes sure that the adjusting of these factors is as effortless as possible. Additionally, both the elevation and the windage system comes with a unique lock mechanism. This allows the scope to hold its zero even when shooting high recoil rifles in rough and strenuous situations. The QTA eyepiece that is available with the model, will help you make easy adjustments to the focus mid-hunt and acquire the target as quickly as possible. This will not only boost your overall hunting performance, making it much more enjoyable but significantly improve shooting accuracy as well. This 8-point rifle scope has a very light build and is extremely easy to mount; however, the Truplex fails to impress when it comes to adequate light transmission. We didn’t find the glass of the optic to be all that good, and we will not recommend that you use this scope for long hunts or under dusky conditions. Convenient TrueZero fingertip windage and elevation adjustment system. Holds its zero under rough conditions. The truplex reticle is ideal for targeting game at different ranges. Light, durable design is shock, water, and fog-proof. Before picking a 3-9×40 scope, it’s important to look out for the features that they come in, and how they will be able to fit your hunting style. While one in our list boasts extreme durability, another has a commanding hand over accuracy and precision. So, it’s crucial to first weigh out what is important to you in a scope and what isn’t. Hope you found our guide to be helpful. If you are looking for scopes for longer ranges, you can check our guides on 338 Lapua Mag and M4 optics.